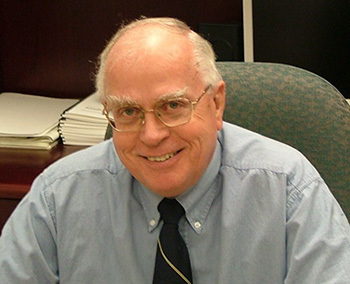 Dr. Worton is retired after a 37 year career as a medical research scientist and scientific leader. Following degrees in Physics at the University of Manitoba and a PhD in Medical Biophysics at the University of Toronto, Dr. Worton spent two years as a research fellow at Yale University. In 1971, he moved to the Department of Genetics at the Hospital for Sick Children in Toronto, where he spent 25 years as a scientist, the last eleven years as Geneticist‑in‑ Chief at the Hospital and Professor in Molecular and Medical Genetics at the University of Toronto. In 1996 Dr. Worton moved to Ottawa as Scientific Director of a new Research Institute at the former Ottawa General Hospital. Following merger of the Ottawa General, Civic and Riverside Hospitals in 1998, and the subsequent merger of their research institutes in 2001, he became the first CEO and Scientific Director of the new Ottawa Hospital Research Institute, and VP, Research of The Ottawa Hospital. During his tenure from 1996 to his retirement in 2007 the Institute grew to become one of Canada’s premiere health research institutes with over 100 scientists, close to 300 clinical investigators, nearly 300 research trainees, and a total staff of more than 1200 with an annual budget of $85 million. Dr. Worton's research has been on the genetics of human disease, his most important work being identification of the gene and protein product that is defective in children with Duchenne muscular dystrophy. His work resulted in more than 120 publications in leading journals and books and over 150 invited presentations at international meetings and universities throughout the world. Dr. Worton’s national and international leadership role has included 12 years as Associate Director of the Canadian Genetic Diseases Network, 6 years as Head of the Canadian Genome Analysis and Technology Program, 4 years as Founding Scientific Director of Canada’s Stem Cell Network, 2 years as Vice President of HUGO, the international Human Genome Organization and 1 year as President of the American Society of Human Genetics. He has also served on the Boards of the Ottawa Health Research Institute, the Ottawa Hospital Foundation, the Ottawa Health Sciences Council, the Canadian College of Medical Geneticists, the Muscular Dystrophy Association of Canada, the Ontario Ministry of Health Advisory Council and the American Society of Human Genetics. He also served on the Interim Governing Council that created the Canadian Institutes of Health Research. Most recently he was Chair of the Board of Research Canada and Vice Chair of the Ontario Research Fund Advisory Board. Dr. Worton is the recipient of several national and international awards including the prestigious Gairdner Foundation International Award. He holds honorary degrees from the University of Manitoba and Université Catholique de Louvain. He was elected a Fellow of the Royal Society of Canada, and is an honorary Fellow of the Royal College of Physicians and Surgeons of Canada and an Officer of the Order of Canada. Ron and his wife Helen have recently moved from Ottawa to a new condominium in Oakville to be near their son, daughter-in-law and two young grandchildren. They also have a second home in Mesa, Arizona, where they spend a portion of the winter months.